The temperature is rapidly decreasing, which means the time when it is socially acceptable to be lazy AF is approaching. This is debatably the best/only good thing about it not being summer anymore, so you gotta live it up. 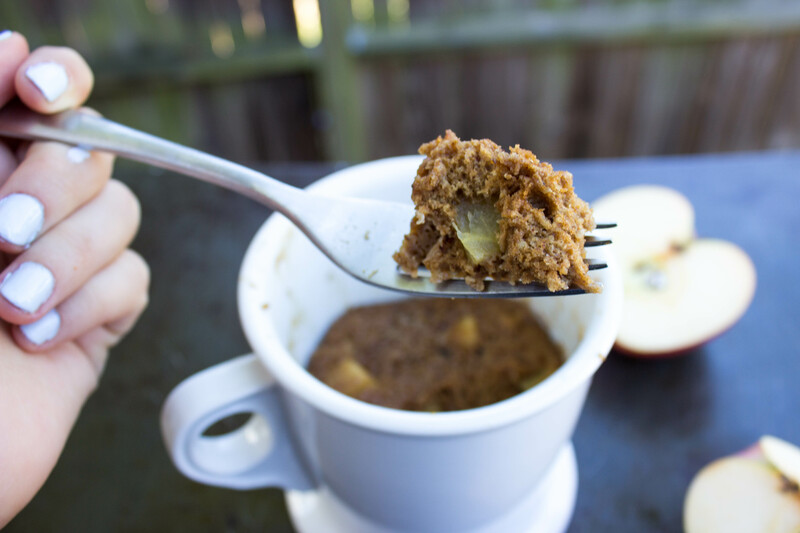 This apple spice mug cake is healthy, delicious, and only takes two minutes to make, because sometimes ain’t nobody got time to turn on the oven when your insatiable sweet tooth hits. P.S. 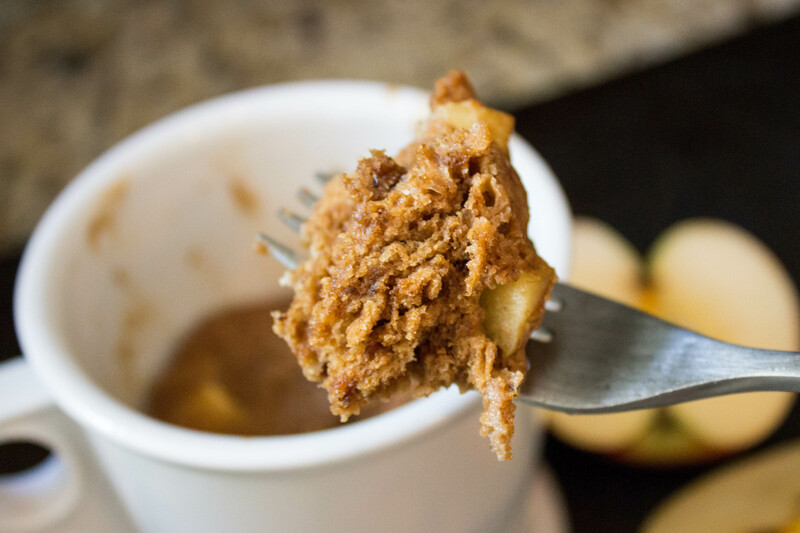 You can eat this for breakfast, because it has espresso powder in it and apple spice > pumpkin spice, clearly. 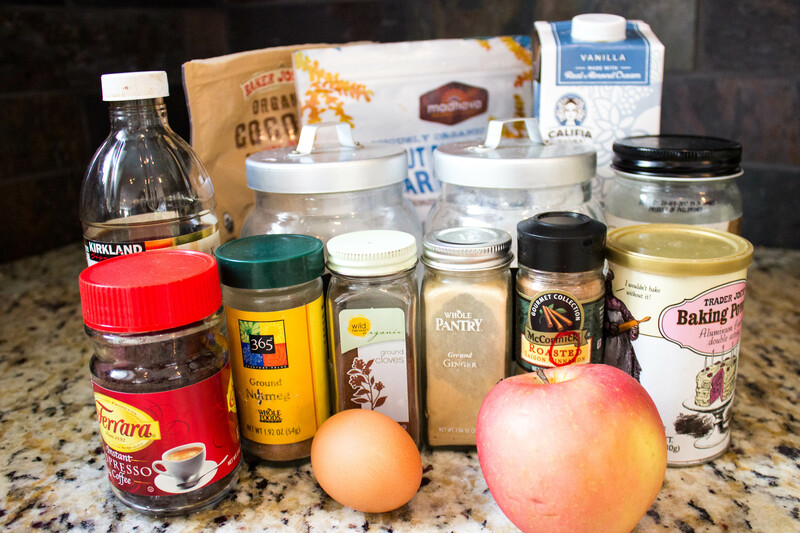 Feel free to jack up the espresso powder if you’re too lazy to brew yourself a pot of coffee. I don’t judge. In a medium-sized mug or microwave-safe bowl, combine flours, sugar, baking powder, cinnamon, cloves, nutmeg, ginger, and espresso powder. Next, add egg, vanilla, coconut milk, and coconut oil. Place in microwave for one minute. Remove from microwave and enjoy.